...these processes are all what made up the different types of memory in psychology. Memory, as one of the cognitive abilities, allows us to store new information in our brain – to be recalled later. The definition of memory as a concept, or just one of the cognitive abilities is too narrow to be used in teaching what memory is all about. Hence, the need to study the different types of memory in psychology, its classification, and how an incoming memory passes through different stages of memory before it becomes part of us. Often times, people think of memory, as storing certain information i.e. the long-term memory. But, there are much more processes like sensory memory and short-term memory, where information must passed through, for the establishment of a long-term memory. 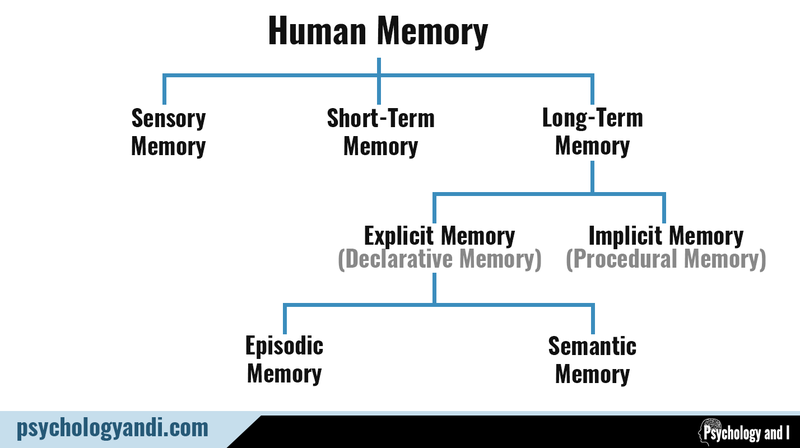 And these processes are all what made up the different types of memory in psychology. The big idea to take away is that rather than exploring a unitary process, the human memory has a sequence of three stages of memory, from sensory to short-term and finally, to long-term memory. And this is what is known as the Atkinson-Shiffrin mode – the process of memory created by Richard Atkinson and Richard Shriffin in 1968. Followings are the multiple types of memory in psychology, and each type uses different parts of the brain. Memory received through our senses. Though, having a large capacity, information received here, only lasts for about 200 to 300 milliseconds. The part of memory where information like visual, smell, auditory etc, are first registered, and are either faded or worked through into the short-term memory. This memory is capable of holding just small amount of information over a short period of time – due to its low capacity. Psychologists refer to this type of memory as “working memory,” because it’s constantly in use as we think and talk. Short-term memory can last for about 30 seconds or less. To make information here last longer – we must subject ourselves to rehearsal. Rehearsal in essence means, repeating the information(answer) to a question in your head. If you stop rehearsing – then, you will only be lucky to find the information in your long-term memory. 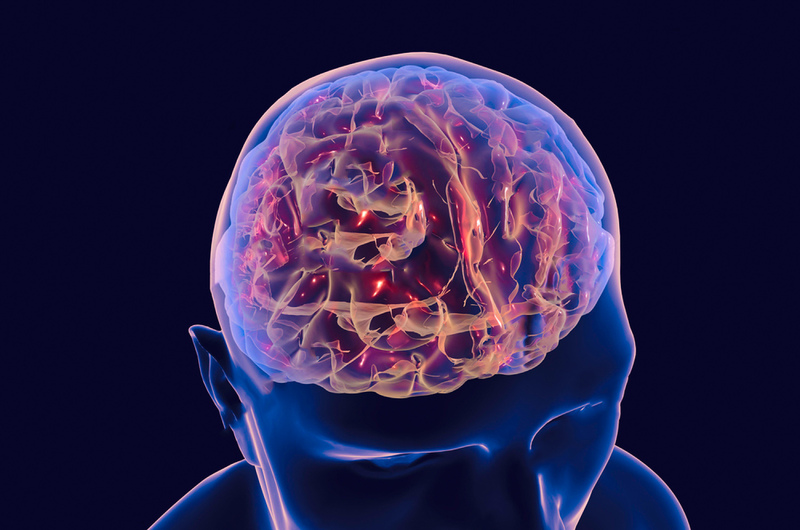 Unlike the previous – the memories stored in long-term memory can last for years. This memory store is capable of storing large quantities of information. In another explanation, all the things you know e.g. events, facts, skills and rules are all what make up your long-term memory. Long-term memory is of two types, with each having different types and classifications. Factual information stored in our memory systems that can be recalled voluntarily and consciously. Examples include social security number, home address, faces, or phone numbers. This type of long-term memory is also divided into different parts / types. This memory include personal events that we have witnessed. For example, your episodic memory will provide answer, when asked where you spent the last summer. Memories in your episodic memory are more easily retrieved base on how exceptional they are. Unlike Episodic memory that is base on personal facts, Semantic memory covers general facts – the information we have about the world around us. Another thing that makes semantic memory distinct is that, the memory doesn’t necessarily contain how or when a particular information was learned. This type of memory provides answer to questions such as, “Who was the first man in the moon?” We may not be able to provide facts on when and how we learned about it. Those memories stored in your memory system, but can’t be talked about. This type of memory are usually acquired unconsciously. Even though the actual events can’t be remembered or explained- implicit memories can affect one’s thoughts and behaviors later in life. This type of implicit memory includes physical and mental skills and habits acquired over time, like dancing, speaking local dialect, reading or riding a bike. This memory store provides knowledge of what to do instantly without conscious recollection. For example, when it’s time to read, or when we hear our favorite musical beat. This type of memory is quite resistant to brain damage. In conclusion, all these different types of memory have different modes of operation as shared above. They all cooperate in the process of forming a lasting memory.